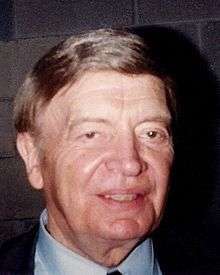 The 1992 Republican presidential primaries were the selection process by which voters of the Republican Party chose its nominee for President of the United States in the 1992 U.S. presidential election. 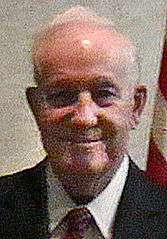 Incumbent President George H.W. Bush was again selected as the nominee through a series of primary elections and caucuses culminating in the 1992 Republican National Convention held from August 17 to August 20, 1992, in Houston, Texas. 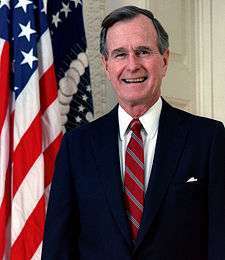 President George H. W. Bush was challenged by conservative commentator Pat Buchanan, and during the early counting of the votes at the New Hampshire primary, it appeared that the President might actually lose. However, Buchanan faded by the end of the evening, and Bush won all the rest of the primaries. Bush's margins in many of the primaries were not as large as expected, and led to the rise of Ross Perot as an independent candidate. 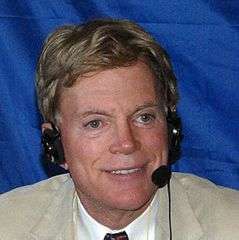 Former Democrat, Republican Louisiana State Representative and former Ku Klux Klan leader David Duke also ran in a number of primaries, but he did not receive any delegates. Former Governor Harold Stassen of Minnesota also made a quixotic bid for support in the Minnesota primary, winning enough votes to entitle him to one delegate, but was later denied his single vote by machinations at the Minnesota Republican Party's 1992 state convention. As Buchanan's candidacy relied heavily on a strong showing in the New Hampshire primary, President Bush made New Hampshire a focal point in his reelection bid. However, New Hampshire still remained a pivotal base for Buchanan's Primary campaign. Because Bush was widely perceived to have broken his "read my lips" pledge, Buchanan found support in the economically battered and conservative state of New Hampshire. Making Bush's tax-hikes a central theme of his campaign, Buchanan enjoyed healthy grass-roots support despite lagging behind the President in pre-primary polling. Bush countered the threat posed by Buchanan by touring New Hampshire himself. He memorably told an audience at an Exeter town hall: "Message: I care". Some sources claim that this was the result of Bush mistakenly reading a cue card aloud. On Primary night, President Bush carried New Hampshire with 53% of the vote, with Buchanan coming in at second-place with 37% of the vote. 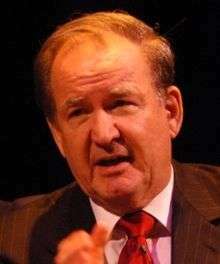 Despite many in the Bush campaign attempting to push Buchanan out of the race, the strong showing made the Buchanan campaign hope for an outpouring of campaign contributions which galvanized the campaign into making efforts to pull out strong showings such as in the Georgia primary. Despite an impressive showing, Buchanan's campaign never attracted serious opposition to President Bush in most contests. Most of Buchanan's "victories" were larger-than-expected showings that were still considered landslide Bush wins by most in the media. Still, the fact that Buchanan received more than two million votes nationwide, prognosticated disaster in the fall. ↑ Dowd, Maureen (16 January 1992). "THE 1992 CAMPAIGN: REPUBLICANS; Immersing Himself in Nitty-Gritty, Bush Barnstorms New Hampshire". The New York Times. ↑ "Past New Hampshire Primary Election Results".